Choosing the right point-of-sale (POS) provider for your hardware store is difficult, considering the hundreds of systems currently available for this sort of establishment. For some small hardware vendors, selecting the right POS system for their business is a matter of survival. If you run a hardware store or are thinking of starting such a business, you will soon realize that you are going to have a lot of inventory to deal with. There’s no way around it – you’re going to need a high quality POS system if you want your hardware store to be well organized. A good POS will do all of the heavy lifting and make it easier for you to keep track of all of the items in your store, which will save you both time and money in the long run. If this is a new venture for you or you’ve simply never used a full-featured POS system before, you may not know what company to go with. This hardware POS systems review will help you solve this dilemma, and soon. Without further ado, here is our review of the top three hardware store POS systems available on the market today. They all integrate the above mentioned features seamlessly. 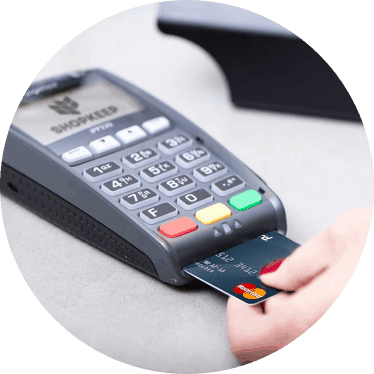 1.1.0.1 Accelerate your hardware business with Revel’s powerful POS technology. Revel Systems Point of Sale is widely regarded as the most versatile POS solution available on the market today. It is a feature-rich POS system and platform. Business owners and operators feel they have complete control of their business. Revel offers unmatched features and integrations, designed to help grow your revenue and your business. With best-in-class security, Revel Point of Sale offers the tools and partnership integrations you need to run the business as you see fit. This is a system that works with just about any kind of retail store. One of the big advantages of Revel is that it runs smoothly on very simple and inexpensive hardware. One example of this in the iPad. Its software grasps the complexities of the hardware retail model quite well. Thus, store employees can fully focus on their customers. This makes things a lot less complicated. It also makes it easier for you and your customer to figure out how to use the kiosk in the first place. This is because it will have a familiar interface and form factor. Another nice thing about this POS system is that it is jam packed with tons of security features. These include different user names and passwords for different employees. Then, there are extremely helpful analytics that will tell you all about your inventory and sales trends. It's a good starter POS. It is also very easy to learn how to use it. Revel works just fine for all kinds of retail businesses. Accelerate your hardware business with Revel’s powerful POS technology. Revel enables hardware shop owners to control every item in their inventory. This goes above and beyond their prices, names, and images. It also helps track inventory quantities in real time. Revel POS system for hardware stores boasts plenty of advanced functions. It enables you to easily control labor costs, manage invoices and accept more payment types. Make your customers happier with increased payment flexibility. Another huge advantage of Revel is that it enables hardware shop owners to easily manage their team. By choosing Revel, they can push out schedules to their team of employees directly from their Management Console, and track each employee’s time with Revel’s built in timecards. But that is not all. Your customers can make the most of a unique shopping experience that is tailored to their specific needs. With Revel, you get the analytics that really matter. This POS system allows you to draw insights from your daily sales activities, keep an eye on your inventory levels, and easily identify your best selling items. The only disadvantage that we could dig out is that if you are not quite tech savvy, according to some of their customers, their support team leaves much to be desired. Revel is arguably the best POS system for hardware stores available on the market right now, and the vast majority of its users are quite satisfied. It is a full package, one stop solution for the needs of your hardware store. Our number two pick swayed our opinion thanks to their unbelievably efficient inventory control. You already know how important that is for a hardware store! Simply put, knowing what you have in stock helps you serve your customers better. Moreover, Harbortouch Echo generates sales reports, tracks employees, and offers custom barcode printing. It assists you in getting a better handle on the financial status of your store operations, make better management decisions and improve productivity. We love how easy it is to create labels on the spot to track inventory. Inventory is managed more effectively using this POS, which performs a quick scan. This in turn limits inventory data errors and improves efficiency. Hardware store managers can make better business decisions this way. They can create, track and send purchase orders automatically. They also receive notifications when it is necessary to reorder one or more items. We are very impressed by the software’s reporting capabilities, which let you track customers’ purchasing habits and retain regular clients as well as win new ones over by creating targeted marketing campaigns. For example, the system’s Financial Overview feature functions as the main overview report showing your daily totals. The function Ticket Detail enables hardware shop owners to keep track of all of their transactions for a certain time period. An overview of your sales of all items is easily accessible through the function Item Sales Summary. Some of its most useful features for your hardware business also include Sales & Labor Summary which, as its name suggests, provides a breakdown of sales and labor by hour. The function Labor by Employee shows each employee’s overall hours worked. Labor Detail shows exactly when a particular employee punched in and out, what job they were working, total hours, and total paid time. The hardware isn't particularly high-end, but it's extremely good for the price range, and it's also quite fast, so you'll never have to leave your customers waiting. Though the software is simplistic, the interface is easy to use and can be customized, and it can also track your sales and inventory just like most other POS systems, as well as provide reporting for you that is viewable both on your native machine and on the cloud. You can have Harbortouch Echo with all of its amazing features and functions for a surprisingly low monthly fee, which is a blessing when you don't yet have a lot of cash. If you're just starting your hardware business and don't have much free capital to work with, this is one of the best choices out there. Just like the Harbortouch Echo, the Elite version boasts extremely customizable software, an easy-to-navigate interface, a simple way to take cashless credit and debit transactions, and a way to automatically keep digital reports on all of your cash register activity. However, the Harbortouch Elite is much more than that and represents an evolutionary leap. Frankly speaking, if you are planning to have your business grown beyond the realm of a little start-up, you are better off sticking with this choice from the very beginning. Harbortouch Elite features superior, lightning-fast hardware in its POS devices, so performing transactions, bringing up reports, and looking through your customer records will be a breeze. 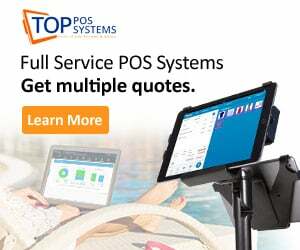 In addition, the customizability of the software goes beyond most other POS systems available in its price range, as it comes with a retail store-specific package that would work great for hardware stores. Out of all the choices here, the Harbortouch Elite is the one with the most functionality to suit your hardware store. It can not only keep track of your inventory, but also easily import your existing database of items if you're switching over from another POS. It has nuanced inventory management software that includes a matrix to keep track of types, colors, and sizes of various products. If your employees work on commission, the system can also accommodate that and keep track of how much you owe them for each activity. To accommodate your customers during special occasions, the software also has a gift registry setup option in addition to a gift receipt functionality. For those expensive items, you can even give your customers the option for layaway. So as you are trying to decide on a good POS for your new hardware store, by all means shop around and examine all of the options—but you may just find yourself coming back to the Harbortouch Elite. It really is a great system. On occasion, you’ll have to wait a while to speak to tech support. Usually, they’re available immediately. Also, at $49 per month service fee it comes a bit pricier than the Echo version, but we can assure you that it is worth every cent! This POS system has earned the trust of a vast number of users thanks to its efficiency. It offers great quality at an affordable price. Even fairly small hardware stores need lots of little parts and pieces, so to be able to meet the numerous demands of the various devices that people have installed in their homes. As in every other retail store, the POS system that your hardware store is equipped with should enable you not only to keep track of every nut and bolt. It should also provide a smart way to store and view your sales, so that you are always aware of the latest market trends. This helps you stay on top of things when it comes to your business. The customer end of things is important too, since most hardware need some sort of convenient way to apply coupons, promos, and sales. You are also going to want a fast, simple way to take your customer's money and calculate their change. A good POS system’s functionality should allow you to reduce oversight, streamline transactions, and mitigate the damage of employee errors. 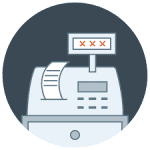 Most POS systems today have all the key functionality a business owner would expect. However, you need high-performance hardware that fits your business to get the most out of your system. The first step is understanding the difference between various types of hardware and their features and functions. From the client’s point of view, the transaction begins when a staff member introduces product barcodes to the system by means of a barcode scanner. They would need to enter a Universal Product Code (UPC) for each item manually without this device, which is time-consuming and prone to errors. You can’t have missed this in your local supermarket with damaged barcodes. Scanners come in a variety of sizes and shapes. Unlike supermarkets, retail stores often prefer small handheld scanners. The functionality is the same, either way. Once a staff member scans a product code, the respective product shows up on the register screen. This screen is part of a computer with several functions. These include interpreting the code, adding the values of scanned items, and ultimately processing the transaction. Some small businesses use all-in-one devices for this, while others prefer standard PCs. Since the register is basically a computer, you have several options available. Purpose-built systems, desktop computers, and even tablets and other mobile devices can do this job. For multiple sales points to operate based on the same products, a good POS should integrate with a website backend. An example of this is a traditional retail store with its own e-commerce website. This keeps online customers from buying items that are out of stock after other customers buy them on site. When choosing a hardware store system, there are a few key considerations. First and foremost, there is the item inventory feature. This is what sets hardware store POS systems apart from those used in other economic sectors. Having control over your staff is just as important as on your inventory, so we strongly recommend that you choose a POS system that can exercise such control for you. It should be able to show exactly when a particular employee clocked in and out, how much work they did, total hours billed, and total paid time.